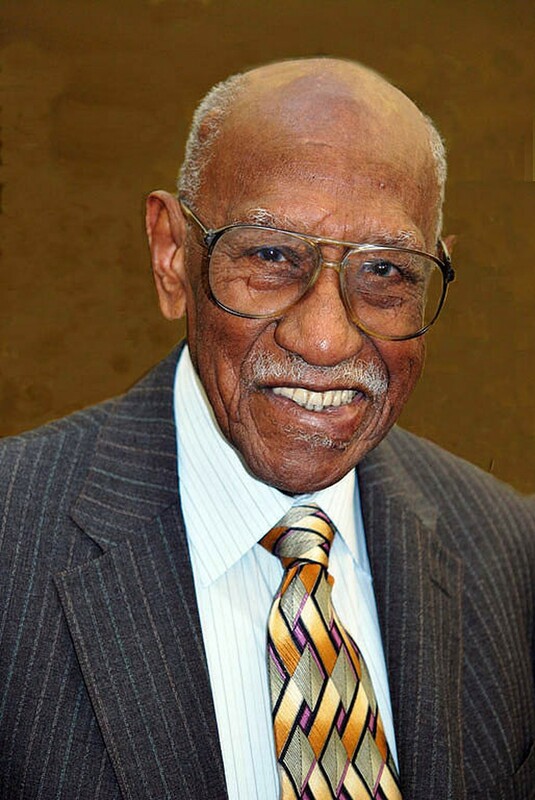 Timuel Black (A.M. ’54) will be honored with the William Benton Medal for Distinguished Public Service at this year’s June 9 UChicago 511th Convocation, joining only 10 other recipients since the award began in 1967. In the past, the Benton award has been given to honorees such as Senator Paul Simon and American publisher Katharine Graham for accomplishments in public service in diverse fields. “Timuel Black is one of the most influential civil rights leaders in Chicago history. He has been a community leader, political activist, thoughtful critic, and national voice in the cause of American justice,” wrote one of his nominators. Despite Black’s service abroad in the segregated U.S. Army in WWII, his roots trace back to Chicago, where he returned from war and “decided to dedicate his life to work for peace, equality, and justice,” according to a University press release. Black has had a long history working with leaders such as Dr. Martin Luther King, Jr., who he brought to speak on campus in 1956, and W.E.B DuBois. He was involved in Chicago’s participation in the March on Washington in 1963 as well as more local efforts to end segregation in Chicago Public Schools (CPS). After the height of the Civil Rights Movement, Black headed the campaign to elect Harold Washington as Chicago’s first black mayor. He also taught in CPS for four decades and served as an administrator for the City College of Chicago. As a historian, Black has published a two-volume history of black Chicago titled Bridges of Memory. Along with Black, Anne Bogart will be awarded the Jesse J. Rosenberger Medal for Outstanding Achievement in the Creative and Performing Arts during convocation, the 48th recipient since 1917. Bogart is an avant-garde theatre director and theorist, from off-Broadway to Court Theatre productions.